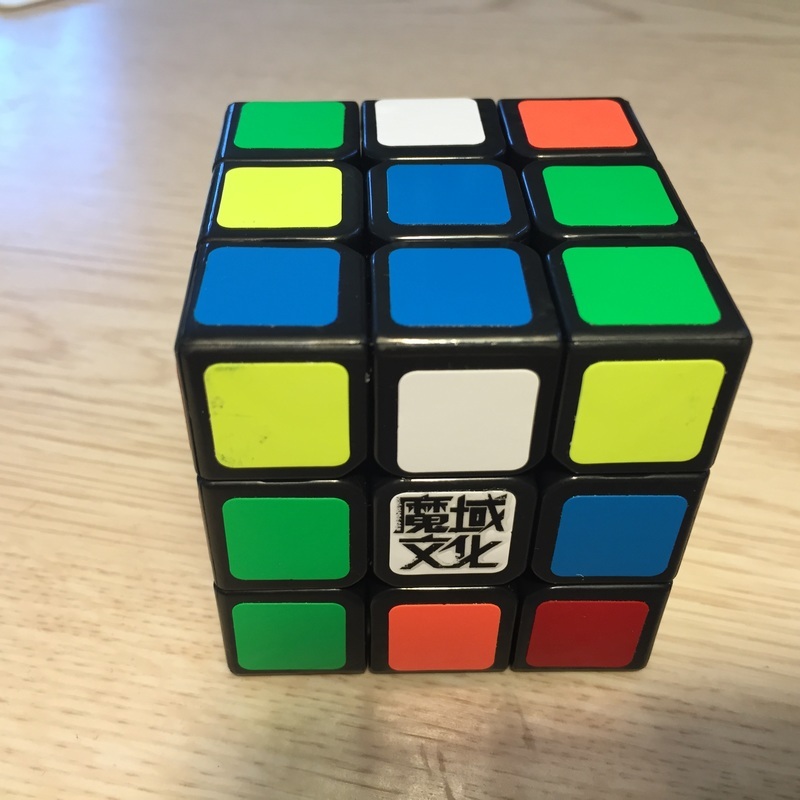 This is probably the fastest cube in my collection. When reading this review, keep in mind that I was a nub when I first got this cube. As soon as I got this cube, I lubed the whole puzzle way too much. Not only this, but I didn't break it in. After relubing it, I lubed it way too much. Until today, I thought this puzzle was ruined, until I had a wonderful idea. Instead of relubing it again, instead I just cleaned the weilong and didn't add any more lube! This then made the cube amazing and I realized just how good this puzzle was. It used to be pretty good out of the box with a smooth feel but after a 100+ solves it became very bumpy, locked up alot, sucked at corner cutting (line to line and half a cubie reverse), and corner twisted alot. Don't go for it. This cube turns pretty smoothly out of the box. It corner cuts a little less than 45º and reverse corner cutting about 1/8 of a piece. After solving it hundreds of times, loosening the tensions, and re-lubing the cube, it turns better and corner cutting has improved. 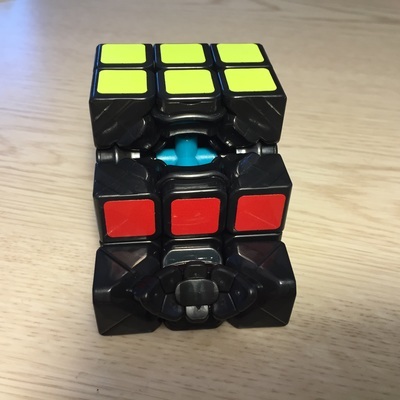 A problem with this cube is corner twisting. It happens once every 500 solves so it pretty much never happens. The WeiLong is really good out of the box. It has a moderate speed. Corner cutting on this cube is 45 degrees and reverse is line to line. I get some locking issues on this cube, but that is mainly to be overshoots. Corner twists do happen but not very often. This cube never pops even on low tensions. Overall, this cube is great. This cube is absolutely great. It is very fast and can corner cut almost everywhere. I have had some issues with corner twisting though, and pops occur every now and then on my medium tensions. 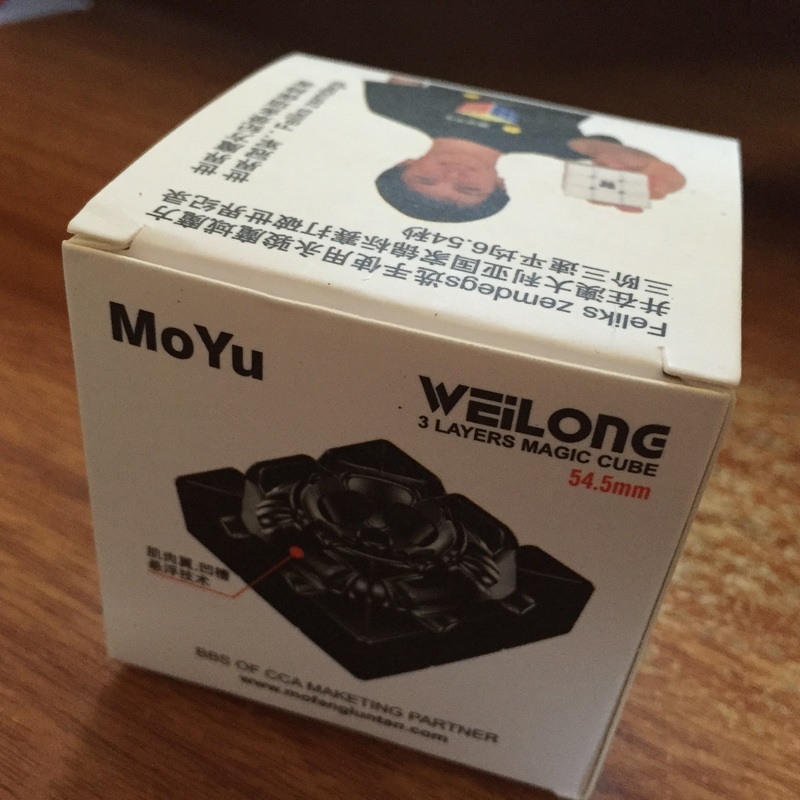 The Moyu Weilong V2 is a very fast cube with some breaking in. It has a very nice buttery feel with very little bumps in the turning when turning fast. It has average corner cutting, with a little over 45 degrees regular, and just under line to line reverse. 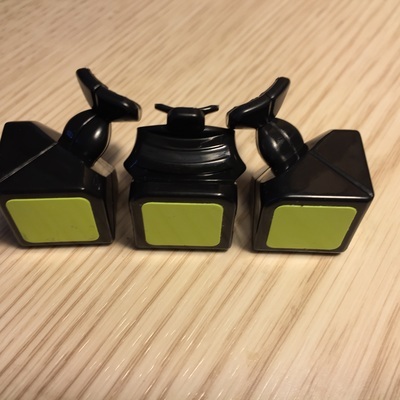 It has a low-pitched sound when turning which is very different from the more normal high-pitched sounds of other 3x3s like the Moyu Aolong or the Dayan Zhanchi. 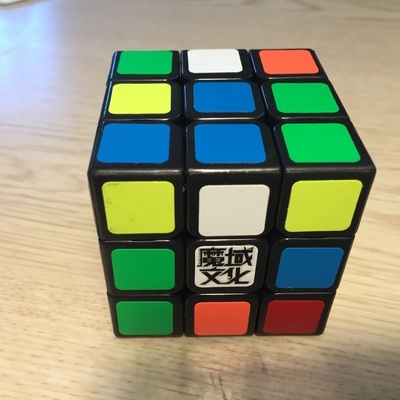 Overall, it competes with todays 3x3s very well, and although I do see the Aolong or even the Yuxin Zhisheng 3x3 surpassing it, it still is a very good speedcube for the feel. I would recommend it for any skill level of cuber, but there's really no reason to get it unless you like buttery smooth, blocky, fast cubes. This cube is underrated. It has exceptional speed without being too fast. The corner cutting is fantastic and it feels very solid (not deforming a lot like a Gans cubes or MoYu AoLongs do) The only issue that occurs is some minor catching. Usually I can just turn through it and it rarely effects my times. I prefer to use this above my AoLong only because of the lack of corner twisting and sturdier feel. The mini Weilong is very smooth, fast and controllable. I have lube mine with a lot of weight 2 lube and solved it over 2000 times, and it is fast and extremely smooth. Corner cutting is over 45 and reverse is less than half a cubie on my very loose tensions. Sometimes i get a pop, but that is only one edge usually. Cornertwists happen, but not very often in solves. It doesn't feel very blocky, but my 57 mm Weilong feels more blocky and is faster. The MoYu WeiLong is a pretty good cube, although it doesn't stand out as much as it used to. I have some locking problems with it because of its mediocre reverse corner cutting, but it is extremely fast, smooth, and never pops. It is still some people's mains but it is no longer mine, just because of all the improved cubes we have today.